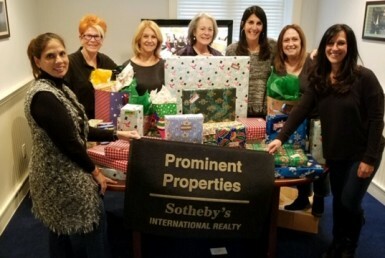 Prominent Properties Sotheby’s International Realty, one of New Jersey’s leading luxury real estate firms, sponsors the 2019 Ridgewood Guild International Film Festival. 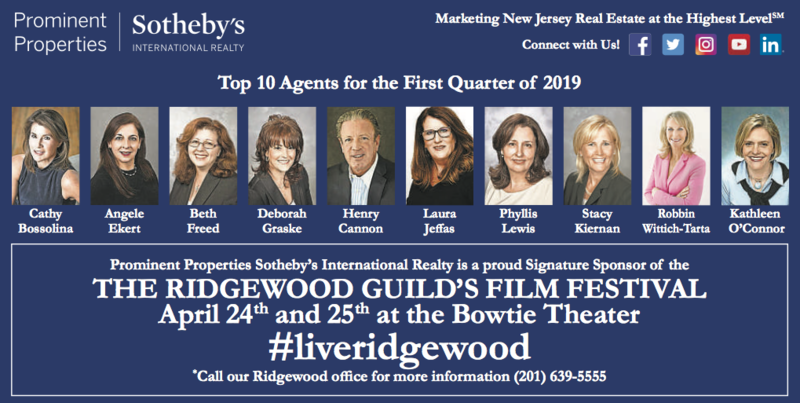 A Spring staple for the village of Ridgewood, the festival features documentaries, animation, shorts, music videos, experimental videos, web, new media, and digital shots. 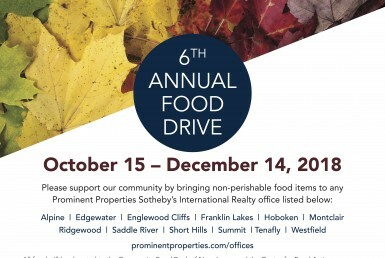 This will be the 9th annual festival, with past festivals boasting special appearances by Danny Aiello, Tony-award winning actor Christian Borle, three-time Emmy Winner Martha Byrne, Oscar-nominated Chris Mann, and many others. 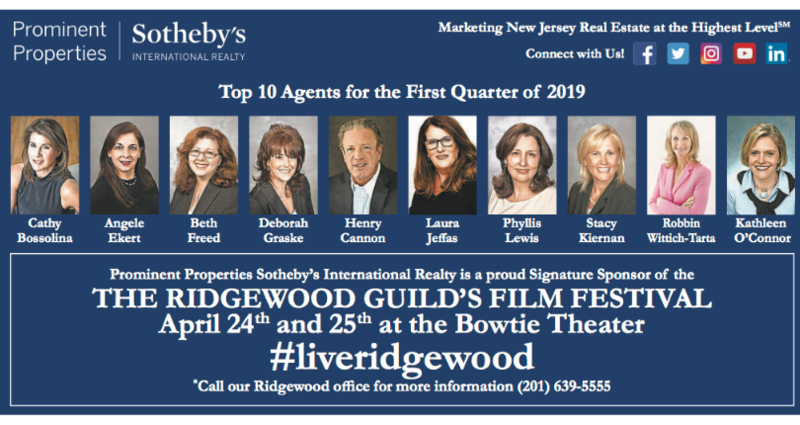 The Ridgewood Guild International Film Festival will feature films submitted by students from Bergenfield, Ridgewood, Allendale, Waldwick, Mahwah, Middletown, Hudson County, New York and elsewhere, with several of the films dealing with prevalent social issues faced by students. The festival will issue prizes for several film categories, and will also bestow a $500 scholarship to the director of the Best Film by a student. The festival will feature its premiere movie, ROMA, on April 10th at the Ridgewood Public Library. April 25th will mark the closing night of the festival with a Red Carpet event at Bow Tie Cinema for the film premiere of Hollywould, starring actor Eric Roberts. After the premiere of the film Hollywould, the festival will host a Hollywood-style after-party at Felina’s Restaurant in Ridgewood. The after-party guest list will include actor Eric Roberts, as well as the cast and crew of Hollywould, and other local filmmakers. For more information about the festival, including movie schedules, special appearances, additional sponsors, and festival updates, click here. To purchase tickets for the festival, click here.